Which third-party apps work with Siri in iOS 10? One of the most important changes in iOS 10 is Siri’s new ability to work with third-party apps. In order to control the experience, Apple chose to initially expand Siri commands to only six types of third-party services: audio/video calling, messaging, sending and receiving payments, searching photos, starting workouts, and booking rides. Even though this may seem limited, there are actually dozens of third-party apps already employing the all-new Siri SDK, or SiriKit. And we’ve started to see other types of services like Yelp and OpenTable become accessible via Siri. 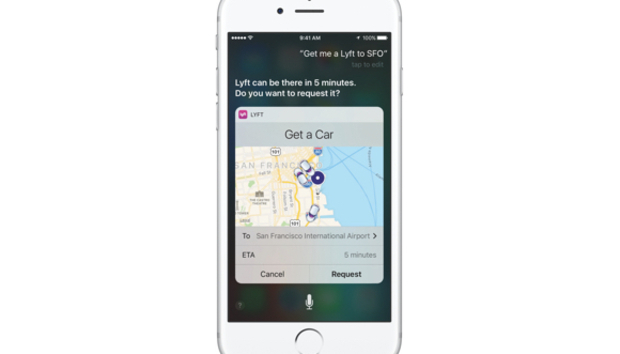 Apple will hopefully add other types of third-party services to make Siri even more robust. In the meantime, here’s the current list of Siri-supported apps. If you have one of these messaging apps installed, you can ask Siri to send a message to one of your contacts using that app. Previously, you could use Siri to search through photos in your camera roll, but with iOS 10, you can use this trick with other photo apps. Now you can have Siri send money (or request money) from your friends using peer-to-peer payment services. And you’ll be asked to verify the request using TouchID. Siri now lets you place audio and video calls on voice over IP services. Just tell Siri the name of the contact and the service you’d like to use. Who needs a personal trainer when you have Siri? You can now use voice commands to start, pause, or end workouts in the following fitness/recreational apps. We’ve already started seeing Siri supporting other third-party services. With the following apps, you can ask Siri to search for more than just photos. In this case, you voice-search for restaurants and food items seems to be a new type of integration.